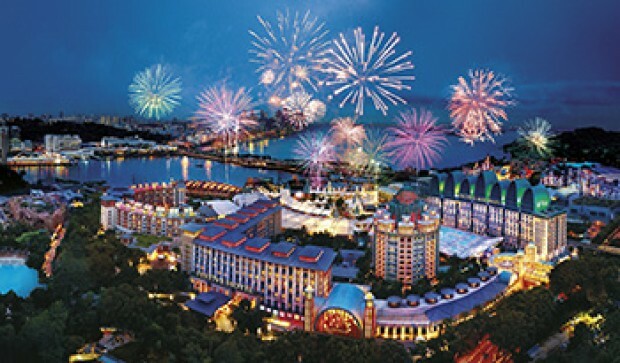 Have the Time of Your Life at Asia-Pacific’s Best Integrated Resort, with world-class attractions, five-star hotels, and a host of Celebrity Chef Restaurants that have made us the dining destination with the most Michelin stars in Singapore. ▸ Promotion is valid for booking from 1 Oct 2016 – 31 Dec 2016 for stay period during 1 Oct 2016 – 31 Mar 2017. ▸ Extension of validity is not permitted. Booking and stay period excludes Super Peak and Black-Out Dates. ▸ Promotion rates may vary depending on selected stay dates, subject to changes without prior notice. ▸ Rate is applicable for up to 2 persons, on a per package basis. ▸ Promotion is valid for purchase online at www.rwsentosa.com. ▸ No refund will be made for cancellation of the booking. ▸ Promotion is not valid with any other discounts and promotions. ▸ Hotel standard reservations terms and conditions apply. ▸ Resorts World Sentosa reserves the right to change the terms and conditions at any time without prior notice. 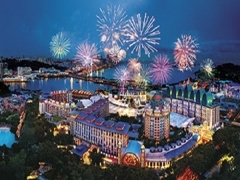 Checkout Resorts World Sentosa for more details about this offer and to book your next getaway now!